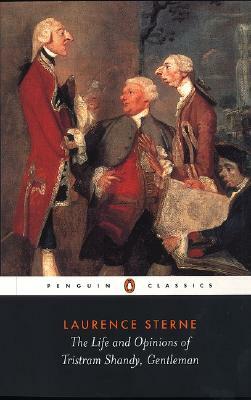 Laurence Sterne's great masterpiece of bawdy humour and rich satire defies any attempt to categorize it, with a rich metafictional narrative that might classify it as the first 'postmodern' novel. Part novel, part digression, its gloriously disordered narrative interweaves the birth and life of the unfortunate 'hero' Tristram Shandy, the eccentric philosophy of his father Walter, the amours and military obsessions of Uncle Toby, and a host of other characters, including Dr Slop, Corporal Trim and the parson Yorick. A joyful celebration of the endless possibilities of the art of fiction, Tristram Shandy is also a wry demonstration of its limitations. The text and notes of this volume are based on the acclaimed Florida Edition, with a critical introduction by Melvyn New and Christopher Ricks's introductory essay from the first Penguin Classics edition. Laurence Sterne (1713-68) was a clergyman. The Life of Tristram Shandy made him a celebrity and he was lavishly feted when he visited London. During the latter years of his life he alternated between there and recuperative continental travels. Melvyn and Joan New teach at the University of Florida.